Because of our location to your practice, cytology and tissue biopsy results will be relayed to you within 48 hours of receipt or sooner. 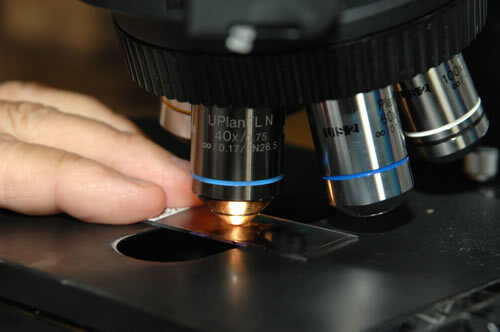 For urgent or complex cases, you will be proactively contacted by one of our board-certified pathologists. To schedule a pick-up please contact us at 864.295.3492. Pathology Consultants' Courier System has routine scheduled pick-ups and delivery routes starting each day 8:00 a.m. until 5:00 p.m. Monday through Friday. The Courier System follows laboratory safety guidelines and policies for proper transport of specimens. PCI has participated with virtually all southeast insurance companies for the past 20 years, establishing strong working relationships. Please call 800.627.7081 if you have any questions about your bill. Pathology Consultants, Inc. is a preferred provider for many Managed Care organizations. We will accept the negotiated fee for the services that we provide. The patient has a responsibility to provide current and accurate insurance information within a timely manner for filing of insurance. Certain insurance companies have a specific time limited which claims must be filed. A copy of the patient's insurance card will be very helpful (front and back). The patient will be responsible for co-pay, co-insurance and the deductible. PCI takes great pride in educating our clinical, technical and professional staff, ensuring patients and practices are treated as valued customers. Our employees reside locally and understand the importance of providing exceptional service and expertise to earn the trust of the local market.